Sukhjit (Sunny) Singh is a young left-arm spinner who has just made his way into the Warwickshire First Team squad. He looks to have all the attributes needed for a successful career. Those in the know at Edgbaston speak highly of the young man. 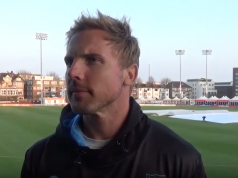 First Team coach Jim Troughton has been impressed by his performances so far, “Pre-season, with Jeetan (Patel) in New Zealand and Josh (Poysden) involved in the North vs South games, Sunny became our front-line spinner. He bowled a lot of overs and took wickets. “In a T20 game against Lahor Qalanders he had four wickets. Against Northants, he claimed another two, nicking people off. What is it that Jim likes about him? “He has a bit of energy and works incredibly hard. That’s quite an endorsement from the Warwickshire coach and suggests that Sunny is very much in the selection mix for the new season. So finding out a little more about his background seemed like a good idea. Sunny was born in India but came to live in England when he was ten. He owes his introduction to the game to Eaton Gordon who is responsible for Community Participation at Warwickshire. “Eaton came to coach at my school,” says Sunny. “I wasn’t very much interested in cricket. I played a lot of football. 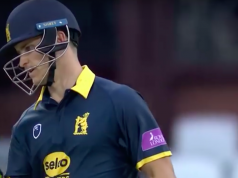 When I was 14, he asked me if I wanted to play for his club – Handsworth CC – so I went there and then got into the Warwickshire youth system at under-16 level. There was one little mystery that we were able to clear up when we spoke to Sunny. It concerns his date of birth. One moderately well-known cricket website has Sunny’s birth date as 3 May 1996. More bizarrely, a cricket annual (not Wisden) says that he was born on 30 March 1966. This would mean that, when he made his first-class debut at the beginning of April, he would have comfortably broken the record for the oldest debutant in the whole history of the game – step aside Pravin Tambe. Both publications are wrong. Sunny told Deep Extra Cover on 30 March: “I’m 21 today!” So now we know! With Jeetan Patel likely to feature for New Zealand in the Champions Trophy, Sunny may well get chances this season to show what he can do. If Jim Troughton and others are right about the young man’s potential, he should have a very successful career ahead of him. 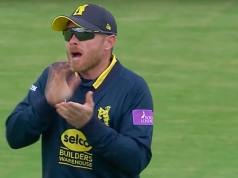 He and leg-spinner Poysden may well become Warwickshire’s new spin twins. And then maybe England will beckon.